jedimaster1227 wrote: Do the ride's trains need any kind of modification to sustain the VR headsets' power throughout the course of the ride? How have previous VR tests been set up to work with the existing installations? For those of you who don't want to follow the link, the VR Coaster system uses Samsung Gear VR, which is basically a Samsung smartphone mounted right in front of your eyes with a headset. The headsets are basically just pieces of plastic with field of view lenses and the phones can be taken out and charged when they need to be. 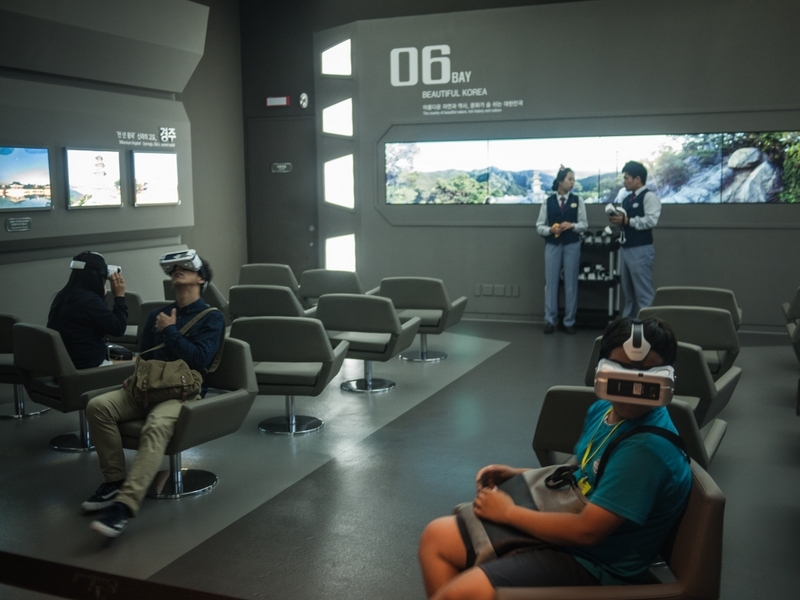 An example here of one of those headsets in use in Everland (which is also owned by Samsung) It's part of the Pride of Korea section when you enter during your time-slot and there are some interactive areas before the 4D move. I've seen them slowly start appearing in the electronic stores lately. They had a test booth with them in Seoul a few months ago with T Express footage and footage from one of Everlands horror mazes. Last edited by Garet on Tue Jan 05, 2016 8:32 am. Rob over on Towers Street has said that on a recent EuropaStreet visit to Europa Park they were told that this isn't a Mack/VRCoaster installation. I can't wait for them to balls this up. Sounds like an interesting idea, but I bet we'll all look like a bunch of idiots looking all around. Kind of like people who have a bluetooth earpiece in, but look like they're talking to themselves. It goes to show how much is involved in the technology and that it's more than just the headset. I still don't really know what to make of the tech yet. I think it's a good idea but it's hard to know whether it will just be a short term novelty or not. Last edited by KarlaKoaster on Sun Jan 10, 2016 2:10 pm. Dar wrote: Rob over on Towers Street has said that on a recent EuropaStreet visit to Europa Park they were told that this isn't a Mack/VRCoaster installation. Given the fact the park haven't announced anything yet you honestly think Mack would just spill the beans on it happening? Even in the modern age of internet rumours and terrible know it all enthusiasts there can still be a few secrets kept here and there. Yes. Europa Street have a good relationship with the park and there's nothing stopping them confirming that they don't have anything planned with Alton Towers. It's just been announced that it's going to be an immersive VR experience produced by Figment Productions. The announcement event is still happening, so expect some more news later. Figment Production has a website and they talk about VR coasters here. We are proud to announce that our first public Vector VR project is Galactica at Alton Towers. (The creative work for Galactica was developed through our long-standing relationship with Merlin Magic Making and we worked closely with the amazing Alton Towers team on the technical implementation). Vector VR is Figment’s own motion synchronisation and control platform for virtual reality. 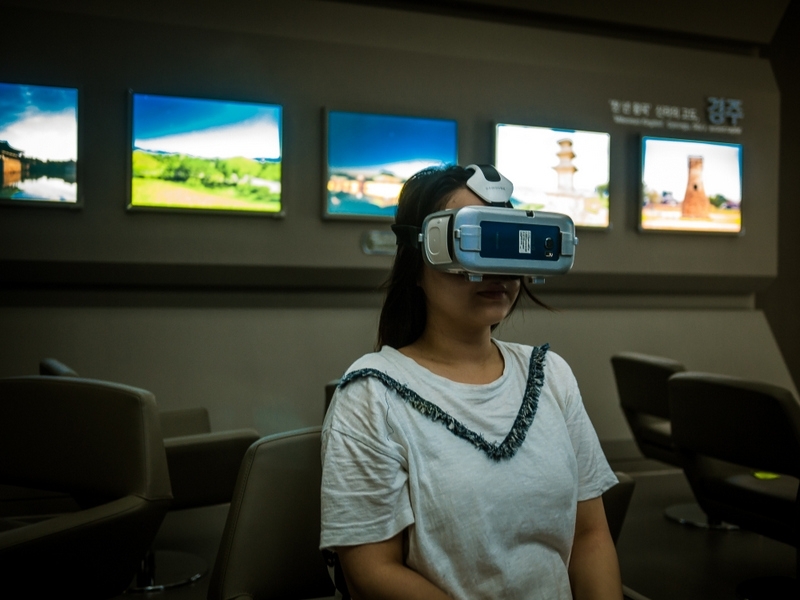 Primarily, its uses are in theme parks and other visitor attractions, but in some circumstances ambitious live events might also benefit from Vector VR. Vector is based on an idea that originally saw us strapping mobile phones to our chests and whizzing around the studio on wheelie chairs. Before long we were lucky enough to test our fledgling system on a real, first class rollercoaster and now it has matured into the world’s first fully realised VR motion-sync system that delivers on real-world operational requirements. That means delivering solutions to ensure safety, address hygiene concerns, maintain throughput, and deliver an amazing guest experience at a realistic cost. We were asked to create demo for a new client, so we put a sensor into our hand luggage and jumped on a plane. Within an hour of being in the theme park we had mapped the rollercoaster with our control sensor – the same sensor that could be used just hours later to give the client a live proof-of-concept with a demo scene in a VR headset. Below is a simplified list of Vector’s key features, including the extras we’ve developed to enable a full operational roll-out. - Off-ride storage solutions for headsets with built-in charging capabilities. Last edited by robbalvey on Wed Jan 13, 2016 5:31 pm. So it looks like its been confirmed then, VR to be installed on Air. What are your thoughts? I actually liked air the way it was, but I'm not opposed to change so I look forward to riding this in April. Does anyone know if they have added a launch? Is it possible to add a launch? and is the VR optional?